This Brilliant Artist delighted everyone with his amazing talent during his long career in southern gospel music. A strong presence on the Homecoming Video series, he will be missed by friends, family and fans from all over the globe. 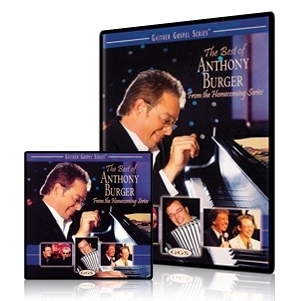 Hosted by Billl Gaither, this video highlights some of Anthony's most cherished performances, and features exclusive interviews, photos and stories about the man and talent we all admired.